Click here to view Dorothy's Liturgical Wake Service. Click here to view Dorothy's Mass of Christian Burial. 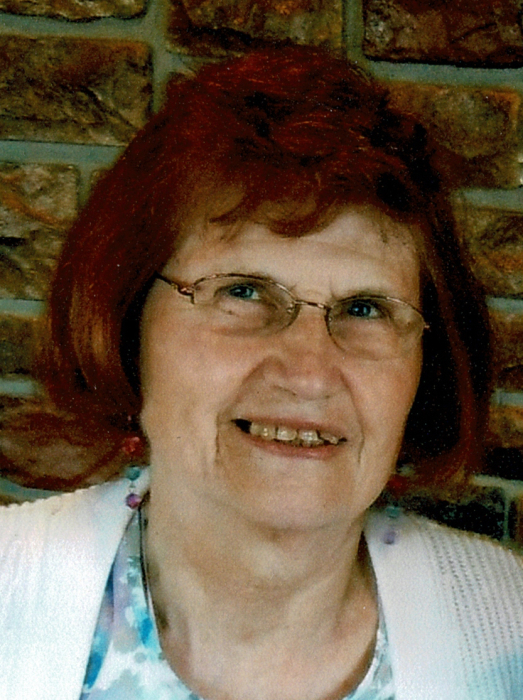 Dorothy Ann Lipp, 81, of Aberdeen, SD, passed away Friday, November 30, 2018, at her home. Mass of Christian burial will be 10:00 a.m., Thursday, December 6, 2018, at St. Mary’s Catholic Church, 409 2nd Avenue NE, Aberdeen, with Father Michael Griffin as celebrant. Burial follows at St. Mary’s Cemetery. Schriver’s Memorial Mortuary and Crematory, 414 5th Avenue NW, Aberdeen, is in charge of arrangements. Family and friends may sign Dorothy’s online guestbook and also view her service via the live stream service link at www.schriversmemorial.com. Visitation will be 5-7 p.m., Wednesday, at the mortuary, with a liturgical wake service and rosary, led by Deacon Pete Mehlhaff, beginning at 7:00 p.m. Visitation continues one hour prior to Mass at the church on Thursday. Dorothy Ann Fischer was born September 16, 1937, to Martin and Magdelena (Keifer) Fischer in Hague, ND. Her large family moved to Edgely, ND, where they farmed for many years. Dorothy married Daniel Lipp on September 8th, 1958. They recently celebrated their 60th wedding anniversary. Dorothy loved God, her husband, and her family above all else. We will always remember mom praying the rosary many times every day. She was a beloved “Mother” to so many in addition to her own seven children. A trip to Dorothy’s house always ended with a full heart and a full stomach. Our mom was the most generous person we all knew, as she welcomed everyone into our house. Each summer as we grew up her home was filled with relatives from near and far. Our aunts, uncles, cousins, friends, and strangers were all received and asked to stay to share a meal with us. We cannot count the numerous occasions when people would just “drop in” and end up staying to share the day with us. We do not remember our mom ever saying no to guests or turning someone away. She truly embraced what it meant to serve others with a joyful heart. We all remember our mom being the very happiest when her kitchen was full, the oven was on, and the music played as we waltzed and two-stepped our way to the table! How our mom thrived on chaos will always be what brings a smile to our faces and warmth to our hearts as we remember the mom we will always cherish. Thank you for your unconditional love, for kissing/healing our wounds, for two freezers and two refrigerators always full of food and monster cookies, for the awesome “garage” parties, and for teaching us to dance, love, and never complain about life’s shortcomings. Most of all, thank you for teaching us about the good Lord, how to forgive and ask for forgiveness, and how to accept the blessings bestowed upon us. It is through your lessons that we will be able to move forward but always hold you in our hearts. The family wishes to express heartfelt appreciation to Nurse Rachel and everyone with Avera hospice. Dorothy was preceded in death by her parents, Martin and Magdelena Fischer, and her sister, Darlene Boulton. Dorothy is survived by her husband, Daniel Michael Lipp; four sons: David (Lori) Lipp and children Dana, Bryan, and Ashley; Dean (Carol) Lipp and children Meghen, Amanda, Scott, and Bri; Don (Chiara) Lipp; Dennis (Terry) Lipp and children Luke and Lindsay; three daughters: Doreen Lipp and children Robert III, Kate, Danielle, and Ryan; Delores (Jeff) Yarbrough; and Deborah (Theodore) Kistler and children Matthew and Nick.